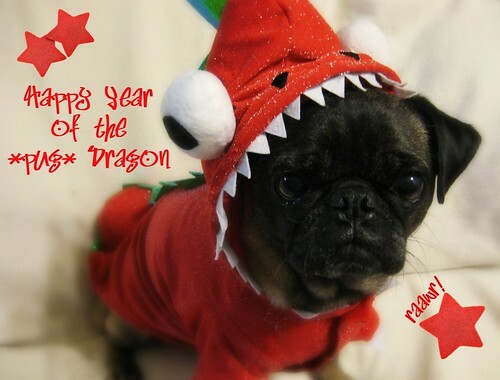 Year of the *pug* Dragon, originally uploaded by Tygriss. Here's hoping everyone has had a great new start to 2012... and if not, then I hope the wonderful weather and positive energy of today gave you all a great jump start to the luckiest year in the Zodiac: The Year of the Dragon!! Helloooo 4710! !